Mark Malone has a long history of making cars go fast, both on the street and on the track. The improvements to performance and mileage are documented and can only be accomplished with very precise modifications. In many cases, the changes include improving factory tuning errors such as boost spike and boost creep. Boost spike is the intake charge pressure rising above the engine computer’s specified boost for a small amount of time. Boost creep is the charge pressure creeping past the specified limit during prolonged acceleration. With all Malone Tunes, precise fuel and ignition timing, mixture control, oxygen sensor and knock sensor feedback mods change the power and mileage for the better. In turbocharged cars, precise boost control is not just an improvement, but can radically extend the life of the charger, especially during high altitude driving. At high altitudes, a turbocharged engine does not lose the 5% of compression per thousand feet that a normally aspirated engine experiences. The fuel system does not care about the thin air, it just wants the proper pressure in the intake manifold. To accomplish this, the turbo spins much faster than at sea level. During boost spike, the turbo rpm can be near or past the limits of forces and lubrication. The installation of a tune needs to be done professionally, as there are some steps that get skipped when a tune is done at a “Plug and Play” type shop. Before a car gets a tune, the customer gets advice and the vehicle gets inspected. Any tuning should be done only after the integrity of the engine and transmission has been confirmed. A test drive is followed by a session with a scan tool. We perform a code check and a review of the measuring blocks that pertain to engine and fuel system parameters. Then typically, we will save a file of all the measuring blocks, known as a CSV file. In some cases, we find anomalies that need to be addressed, such as clogged fuel filters or a misbehaving MAF sensor. Occasionally, we find a problem that makes tuning inadvisable until the issue is repaired. Once the Malone Performance Tune is installed, the vehicle gets another test drive to assure that there are no issues with the tuning outcome. Vehicles fall into two categories for engine ECU tuning. 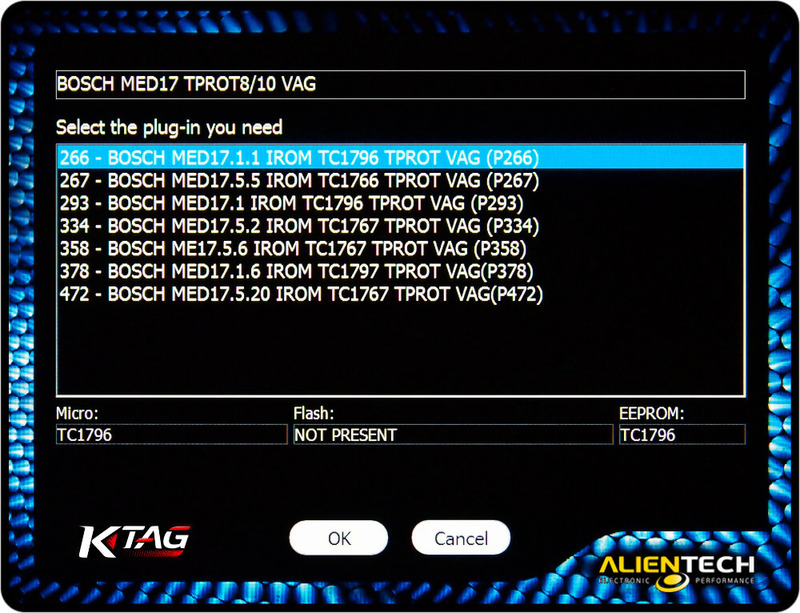 Up through the middle of 2005, most ECU’s can be flashed through the OBD II diagnostic port. The original program is downloaded and emailed off to Malone Tuning. That program is modified, returned by email, then uploaded to the car’s ECU via the OBD II port. Slight modifications can be done after tuning to dial in the tune. Any major changes, or custom tuning, require that Malone Tuning modifies the program again. From 2005.5 and later, most of the ECU’s must be removed, disassembled, and the tune installed with special equipment. Any attempt to tune an Engine Control Unit (ECU) in one of these cars without removal and disassembly will “brick the brain”, and the car will never run again until the ECU is replaced and recoded. Karmakanix removes the ECU and disassembles it to download the original program for the tuning modification. The program is then emailed to Malone, modified and reinstalled, just like the earlier cars. When we reinstall the ECU, we use new factory anti tamper bolts, so there is no visual clue that the ECU has been removed. We keep a copy of the original tune just in case it needs further modifications or has to be reinstalled in the future. When larger turbos, modified exhaust and intake components, or special fuels are incorporated, modifications to the Malone Tune may be needed, and sometimes custom tuning by Mark is required. The Technician will graph and log fuel system and engine parameters, and email them to Mark at Malone Tuning. Mark then modifies the tune to accommodate the equipment. The tune is flashed back into the ECU, and then logging is used to confirm the results. On most models, some changes can be made through resetting the adaptations through the OBD II Port. Any major changes require that the ECU be removed again to make the modifications. Custom tuning generally only applies to highly modified engines. Many of the Malone Tune products have tuning options to accommodate customer’s individual needs. Some of them are for racing use to optimize performance, some are considered because of a customer’s driving preferences, environment and habits. Custom Exhaust Gas Recirculation (EGR) control can be had for improved warm up characteristics versus mileage and power. Higher idle settings when cold are available for some diesels that experience high altitude cold starts or use veggie oil. Standard modifications are available for high performance customers that change intake manifolds, exhaust components, and air filters, or delete MAF sensors and EGR systems. Some custom tuning options cost extra, please refer to the Malone Tuning Website for further information and costs. For the automatic and DSG transmissions for the 2.0 CR diesels and the 2.7 T V6 gas engine, the Transmission Control Unit (TCU) must be reflashed to accommodate the higher engine torque and performance, or problems like harsh shifting or sudden power loss can occur. The transmission TCU communicates with the Engine’s ECU constantly. The ECU sends information about the load signals and rpm, the transmission uses the data to preform perfect shifting, and the ECU modifies the timing and boost to complete the process. So the characteristics of the ECU programming must match the transmission programming. In most cases, there is no problem using the stock TCU program. Tuning boxes are sometimes considered as an alternative, but the results are never satisfactory. Tuning boxes can have severe downsides. The most common problems are poor mileage, turbocharger damage and catalytic converter failure. Some tuning boxes are just a resistor that changes the coolant temperature sensor signal. This makes the ECU believe that the engine is always cold, and adds more fuel. Some boxes control boost, most do not. Modifying just one or two parameters is not the correct way to get performance and mileage, and can lead to repairs that far exceed the cost of proper tuning. Cheap advice: Don’t use a cheap tuning box. See the Malone Tuning page on Myths and Facts for a complete story on aftermarket tuning boxes.